"And . . . for Lovers of the Macabre"
Drawn to the spectacular south of France to research the late composer Henry Ryman, music student Susan Roberts (Powers) encounters his son, drug-addicted Georges (Olson) and his eccentric family. Investigating the haunting strains of an unfinished Ryman concerto leads Susan to discover an empty piano, and a brutally savaged mannequin! Georges tells her she's the lookalike of his lost love. But Susan may not be the only one at the villa with an eerie doppelganger. 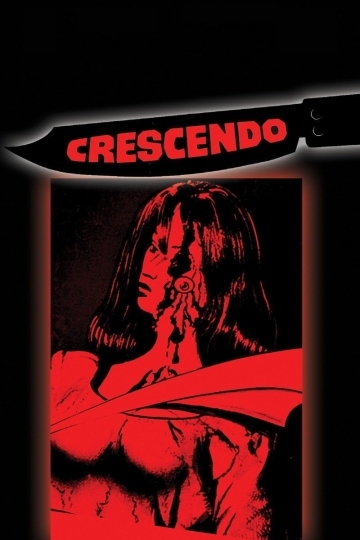 Crescendo is currently available to watch and stream, buy on demand at Amazon, Vudu, Google Play, iTunes, YouTube VOD online.